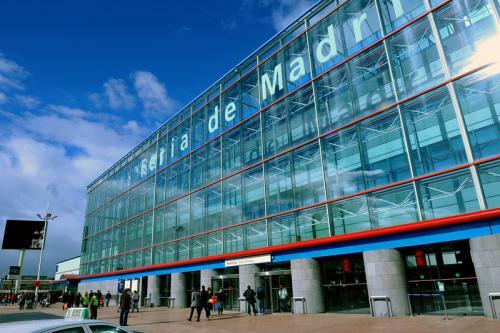 Madrid, Spain, 2019-Jan-23 — /Travel PR News/ — These will be among the activities led by the World Tourism Organization (UNWTO) during the 39th edition of the International Tourism Trade Fair in Madrid (FITUR, 23-27 January), the first of the world’s major annual tourism events. A new activity this year is the inauguration of a global tourism innovation hub, highlighting the UNWTO’s role in and commitment to innovation. Furthermore, the awards ceremony of the 1st UNWTO Tourism Startup Competition will be held in partnership with Globalia, the leading tourism group in Spain and Latin America and sponsored by the Xunta de Galicia. This competition, the first and largest initiative of its kind in the world, is aimed at identifying the new companies that will lead the transformation of the tourism sector and the promotion of innovation ecosystems through tourism. This entry was posted in Business, Festivals and Events, Recreation, Tourism, Travel, Travel Marketing, Travel Services, Travelers and tagged activities, Madrid, tourism, trade fair, UNWTO. Bookmark the permalink.